With the fast food, casual dining scene bursting with various options available to the public it is even more important for a fitout to capture the eye of the passing diner. 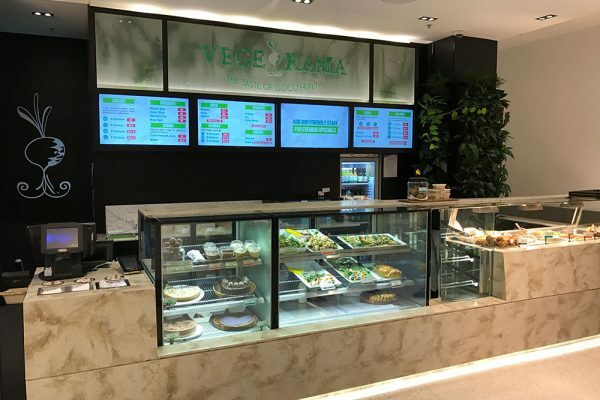 Vege Rama in Carindale have filled a large hole in the marketplace with their fresh, natural approach to food. It was therefore essential that their fitout reflected these philosophies. 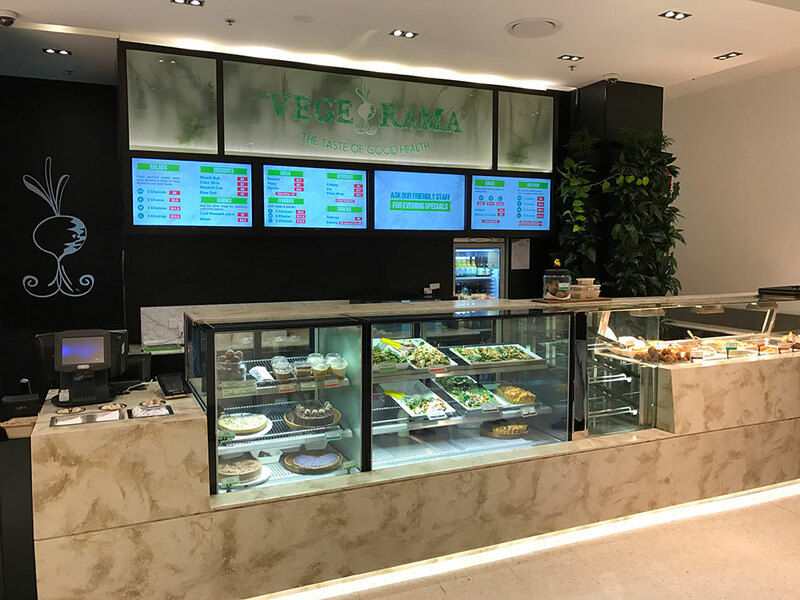 The combinations of manufactured stone resin paired with sleek stainless and custom made illuminated display cabinets allow the products to speak for themselves in this front of house fitout. Working in an active shopping centre requires careful planning and site supervision to ensure the shopping centre patrons are not hindered or endangered by the works or the site. Completing these works within a food court simply takes it to another level.